One of the most rewarding experiences for me has been making time to take my own kids out hunting. I have worked hard to pass along that great Nebraska hunting heritage and to instill in them an interest in hunting with an appreciation for nature. Consequently, today all of them enjoy various hunts here in the Cornhusker State. Having four kids ages 27, 23, 21 and 18, I know what it is like to usher in, nurture and train young hunters. I speak from experience – the best teacher! With that stated, I have compiled what I consider to be my Top Twelve Tips for Taking Kids Pheasant Hunting. 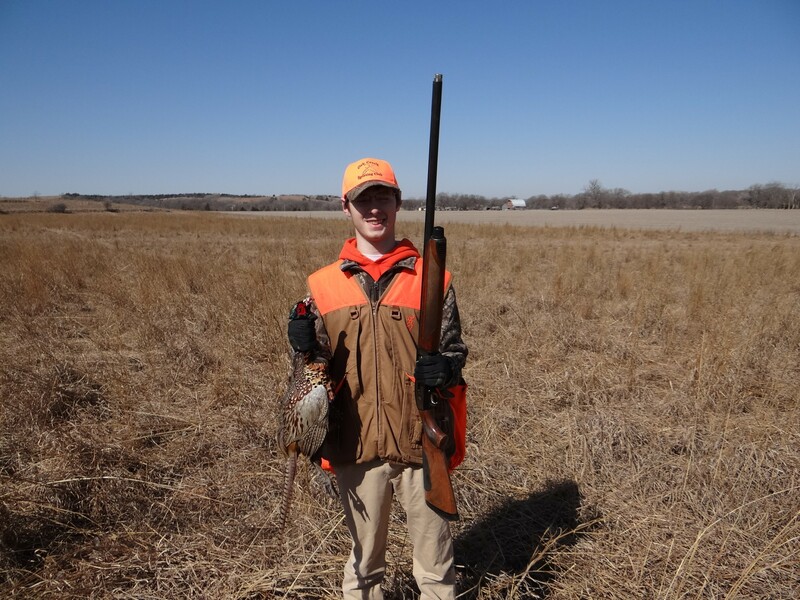 I am putting emphasis on youth pheasant hunting because this weekend of October 24 & 25, 2015 marks Nebraska’s popular Two-Day Youth Upland Game Bird Hunting Season. This year we have much improved pheasant and quail populations where there is suitable habitat and ten state wildlife management areas where adult rooster pheasants will be released for the youth season! Okay, up front here, I’ll remind you of a few critical things when taking young folks out hunting. Remember to be patient, not make hunting a competitive thing or put pressure on bagging game, accent the positives, and above all — make it fun! Here we go with the twelve tips. 1. Involve the kids in the entire process. 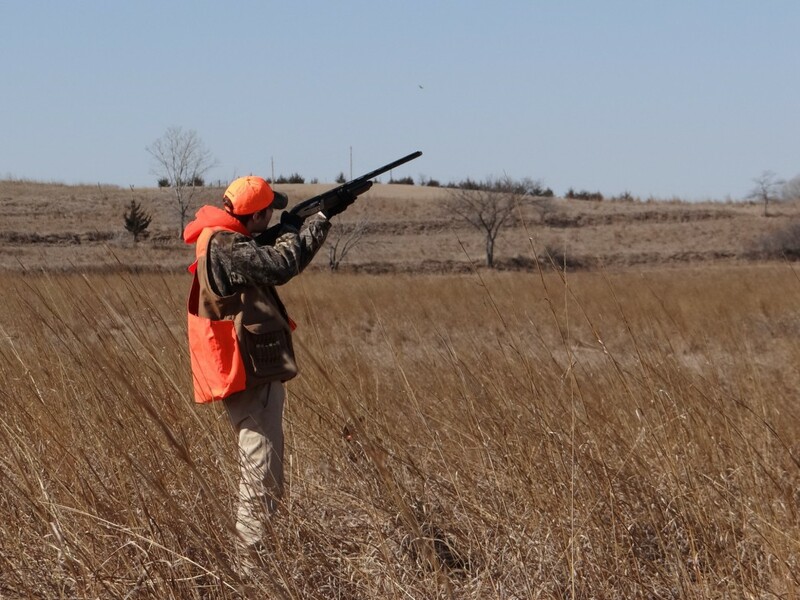 It is important for young hunters to understand the hunt from beginning to end, from checking requirements and regulations to gathering gear to cleaning and cooking their quarry. 2. The right clothing. 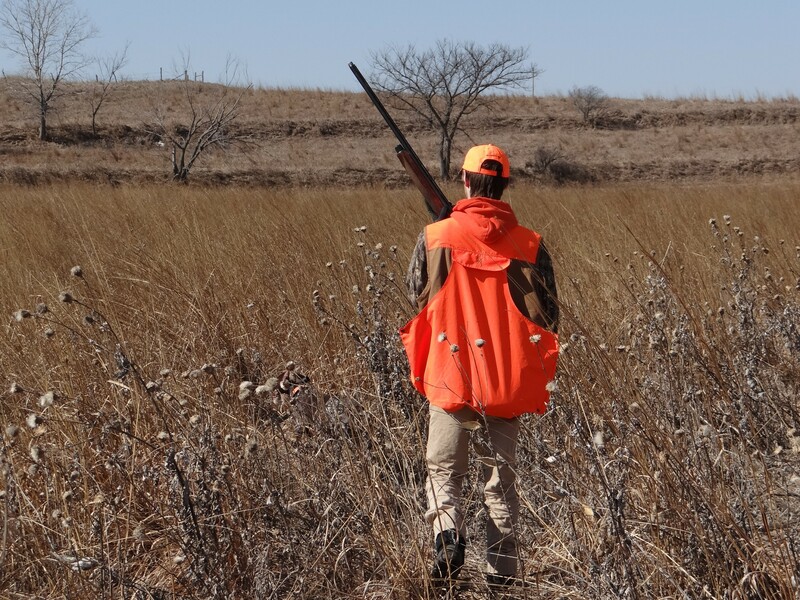 Young hunters need to be comfortable at all times in the field and the appropriate clothing for the weather is crucial. Layering is best, and don’t forget the blaze orange to be seen! 3, Pack the snacks. I cannot stress to you how essential it is to pack some snacks (and quieter ones at that). I’d recommend bringing a couple of sandwiches, some soft granola bars or fruit along with a few bottles of water. 4. Allow the high-tech gadgetry. It is no secret that kids love technology. Let your young hunter bring his or her mobile device/smart phone. And, when applicable allow them to use that device/smart phone to highlight and share the experience of being in the field with photos, social networking site posts, etc. 5. No buddies, leave your shotgun at home. Don’t bring any of your buddies on the hunt and leave your own shotgun at home. As the sole individual with a firearm, the young hunter sets the pace of the hunt and allows you to focus on him or her. You can hunt with your buddies another day! 6. Kids and landowners. I always make it a point to have my kids visit with landowners, especially in Nebraska where 97 percent of our land is under private ownership. I’ve even gone as far as to arrange to have my kids go up and ask landowners for permission to hunt! 7. Stress safety. Whether it’s muzzle control, unloading the shotgun before crossing fences or knowing appropriate ‘zones of fire’ for shooting lanes, safety should be stressed with different scenarios and at all times in the field with a young hunter. In pheasant hunting, instruct them not to shoot until the “rooster” command is given. 8. Teach and preach conservation. Make certain your kids understand why you’re planning to hunt in a certain location and point out the importance of good upland habitat. We are here in this location to hunt pheasants at this time of day because of these key habitat components: ______, ______, ______ and ______. 9. Wildlife lessons. Kids need to comprehend the connections in nature as well as the role that nongame wildlife species play. One thing that my kids and I have always done is to enjoy a fun game of wildlife identification when our roosters aren’t being seen or are flushing out of range. Whether it is plants, birds or mammals, we try to assign points for what’s positively identified with a specific field guide ID booklet or mobile device app. 10. A well-trained dog. If you have access to a well-trained, close-working hunting dog, use it! 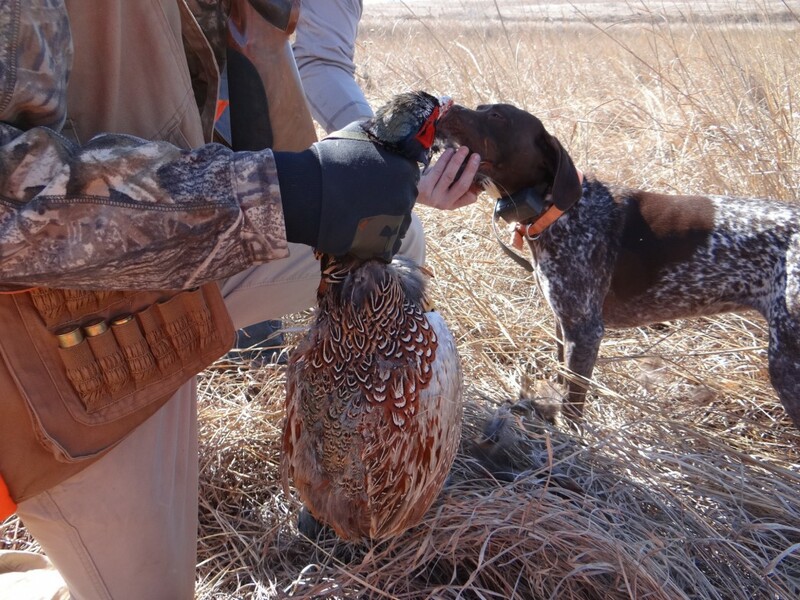 A great dog will give a young hunter time to prepare for the shot and find downed birds in heavy cover. More importantly, there is something quite special about intently watching an upland game bird hunting dog when it gets “birdy” and zeros in on a rooster pheasant pinned under grass. Also, much of the joy of pursuing ring-necked rooster pheasants comes from the interaction between hunters and dogs! 11. No dog? Stop a lot. If you don’t have a dog walk very slowly and try stopping and standing still on a regular basis with youth. This tactic gives young people a chance to catch their breaths and often makes rooster pheasants nervous causing them to flush. 12. Keep the session short. If your kids have complained about not being in the field for a long enough time to pursue game birds, you’ve done your job! Don’t wear them out! Keep them hungry to come back for another hunting session! Happy hunting with your youth! 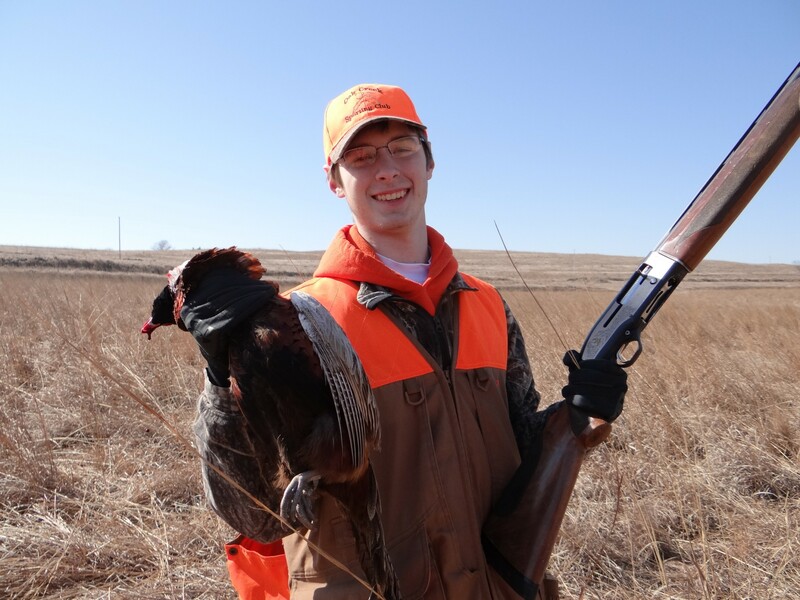 Be sure to tune in to my LIVE Weekly TV Outdoor Report on Omaha’s WOWT 6 News this Thursday evening at 6 p.m. CST during the sportscast for more information on Nebraska’s two-day youth upland game bird hunting season on pheasants, quail and partridge. If you’re unable to watch it, you can always catch video replays of the report here.